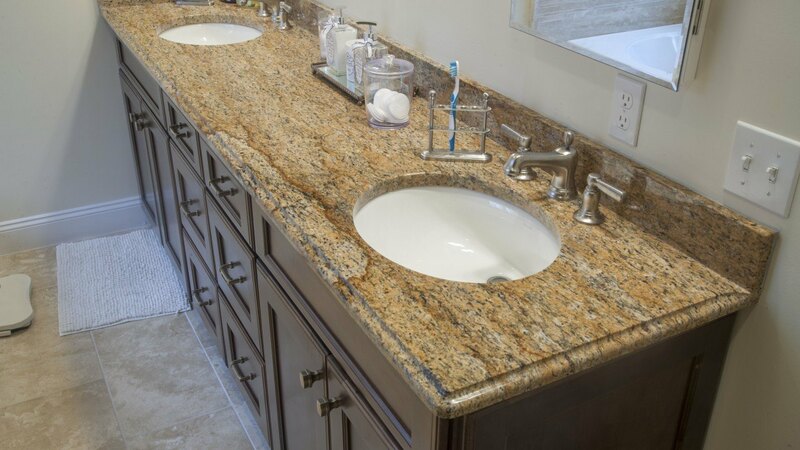 Juparana Persia is a stunning Brazilian natural stone that will look great against any wood colored cabinet. 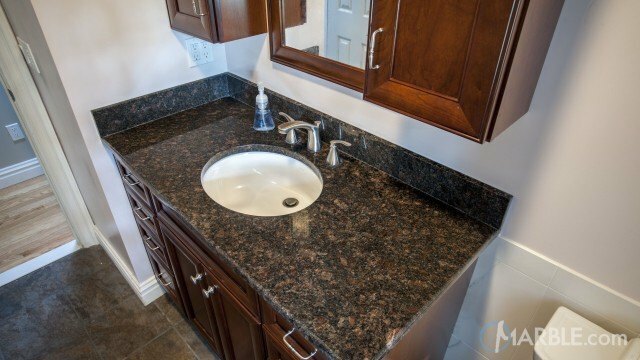 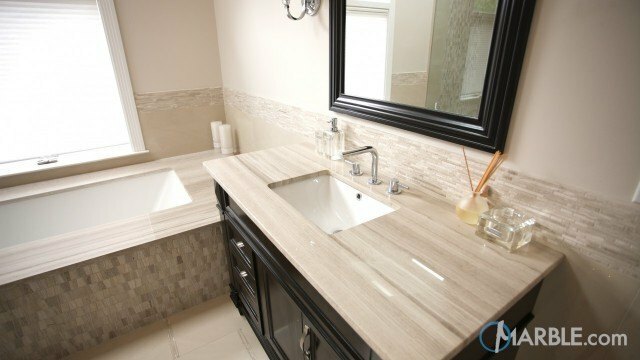 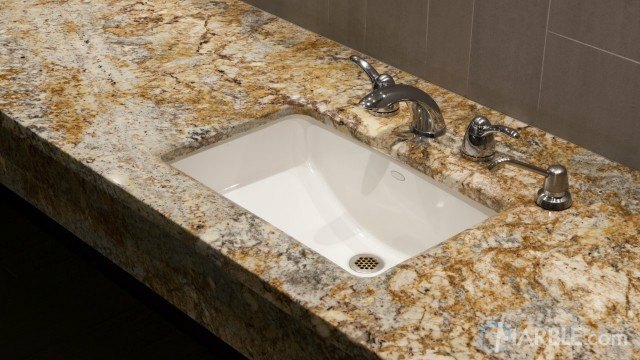 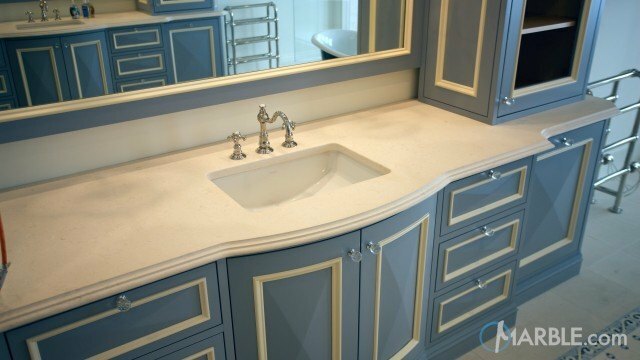 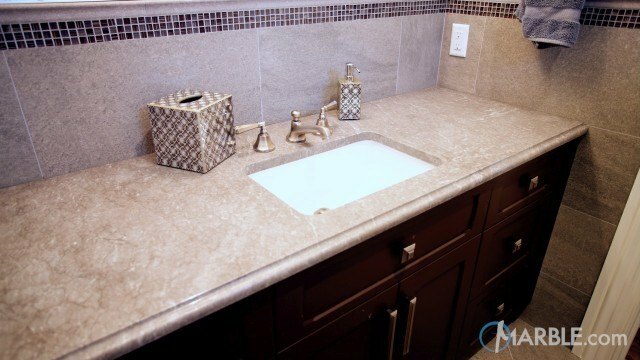 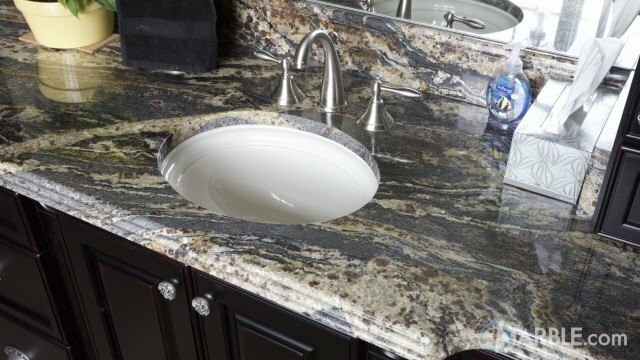 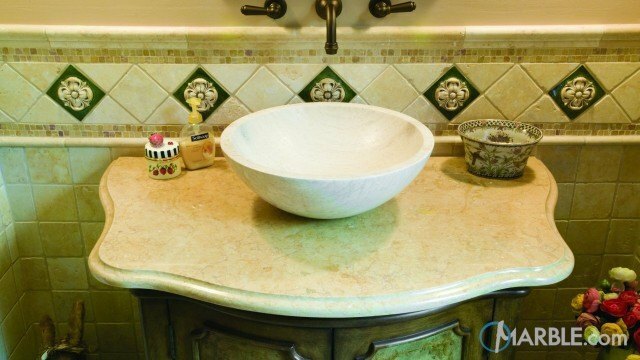 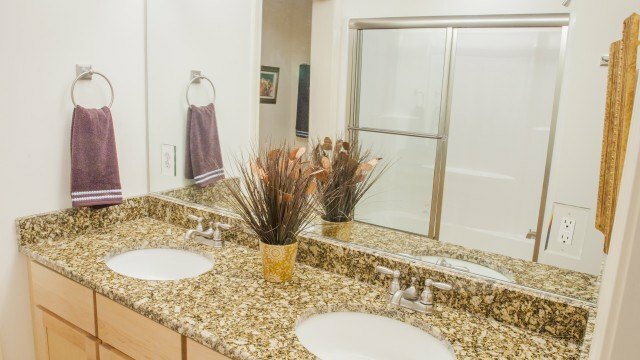 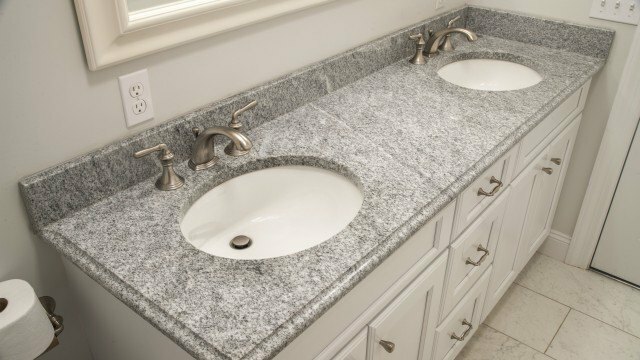 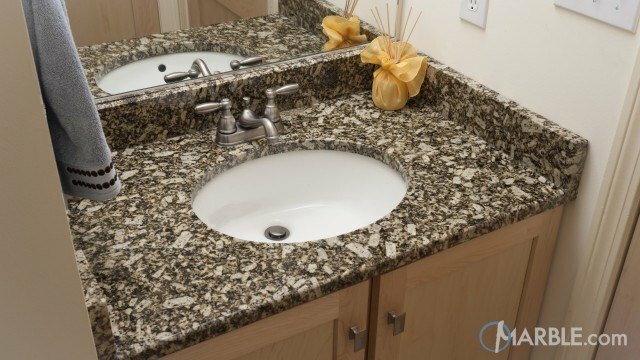 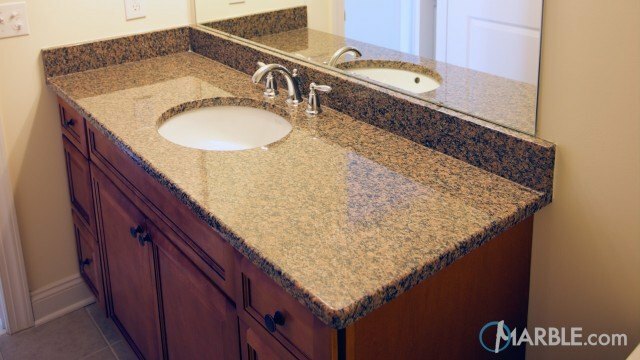 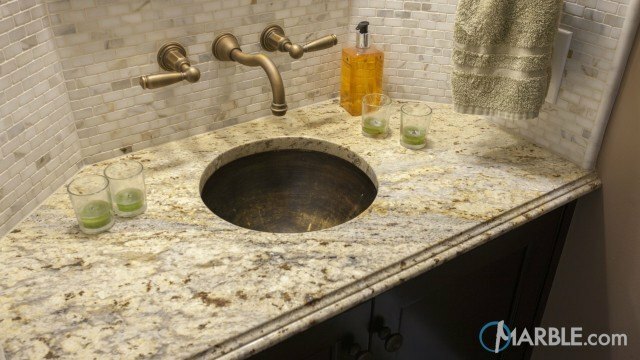 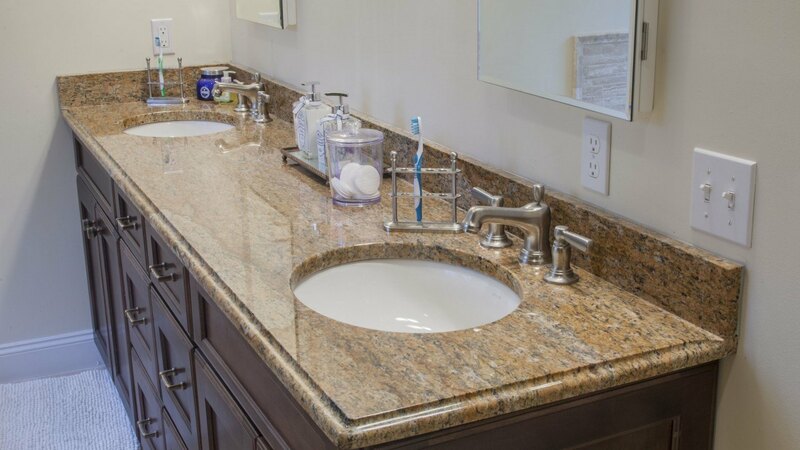 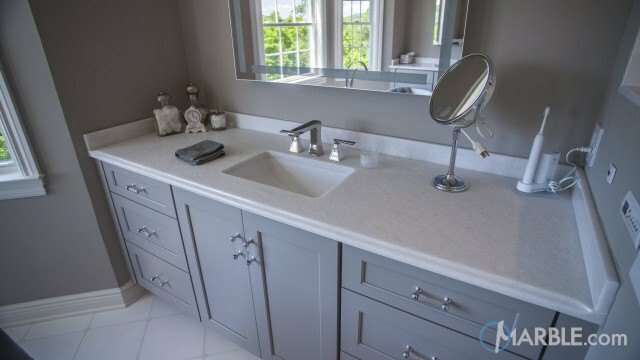 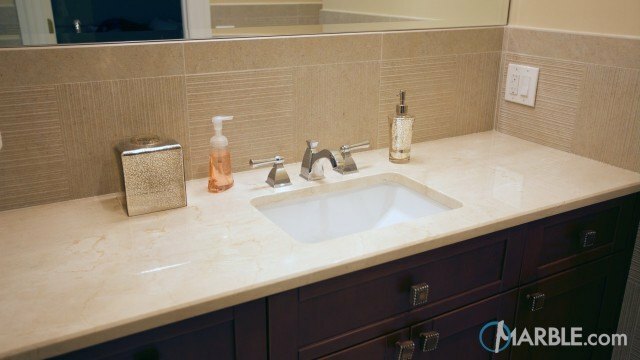 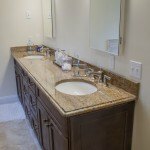 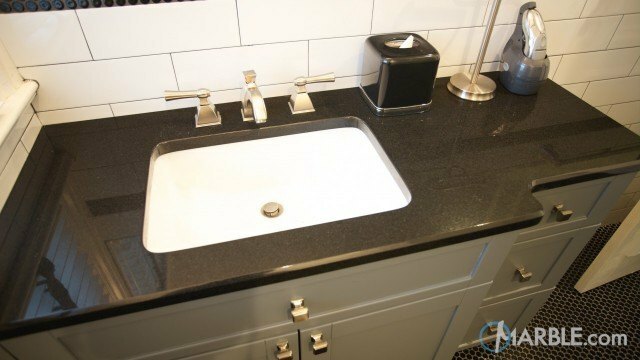 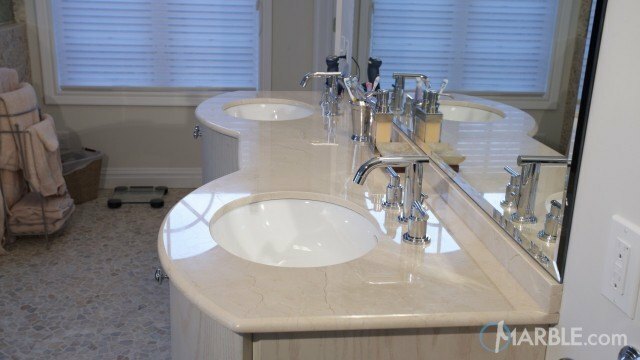 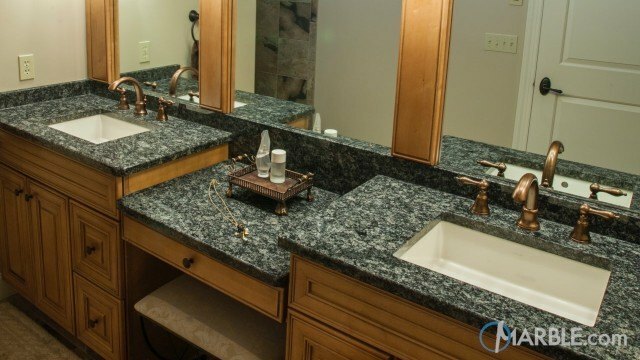 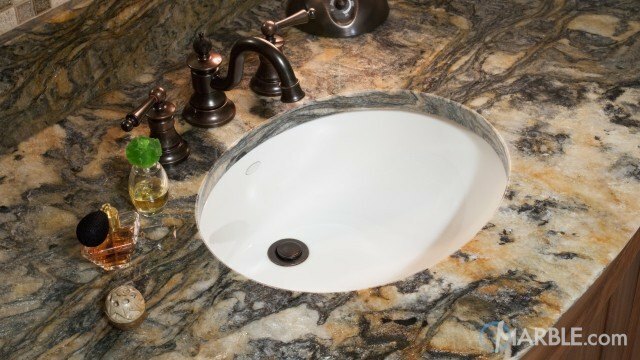 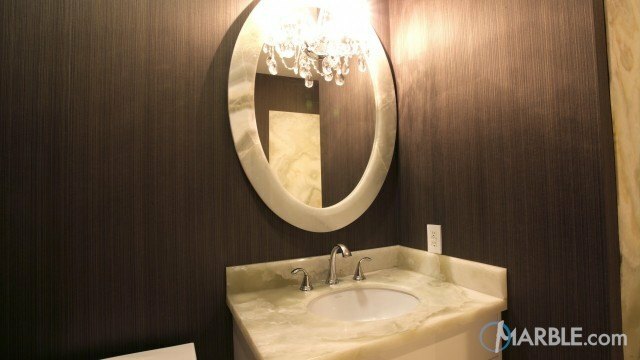 This granite can be used for any application and works great in high flow areas including children's and guest's bathrooms. 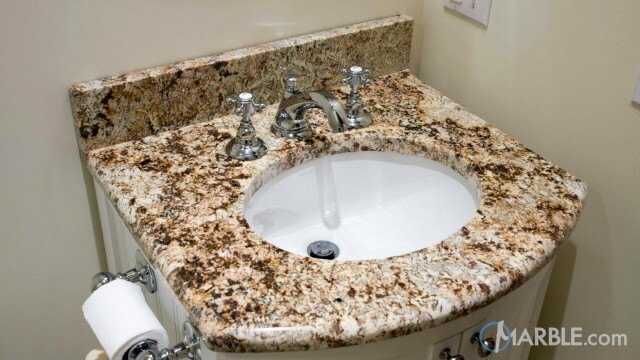 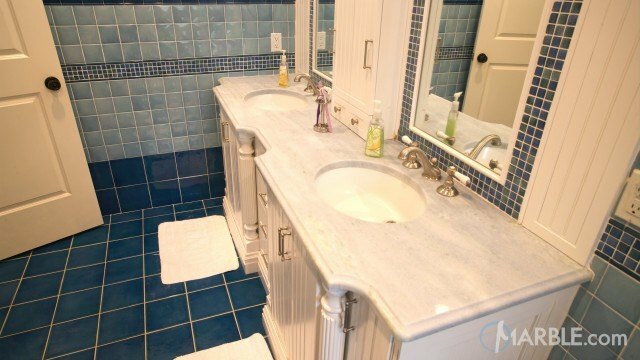 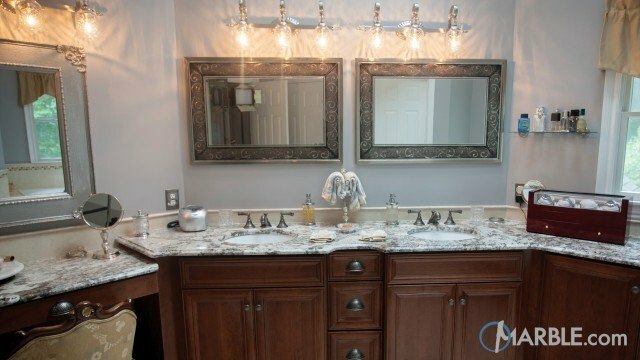 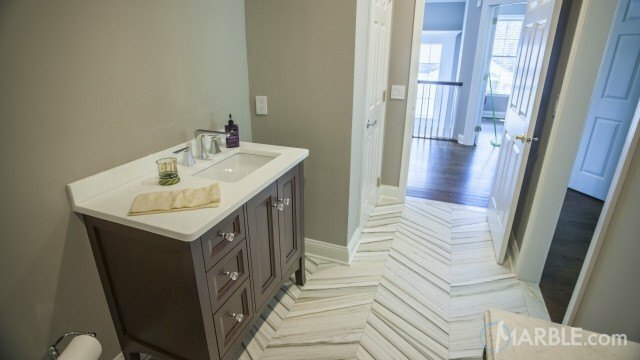 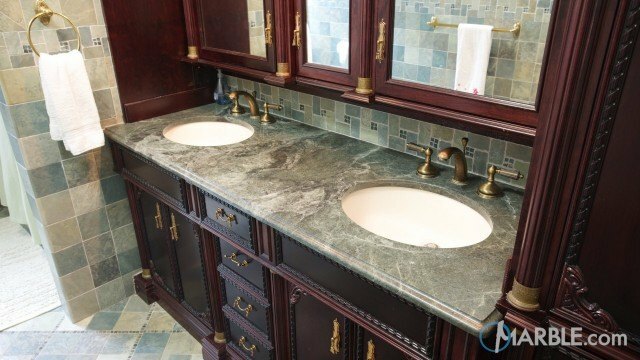 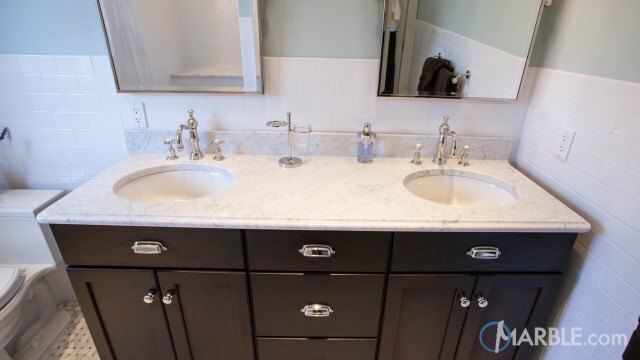 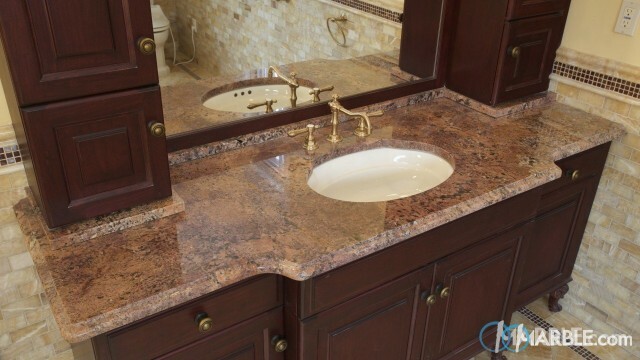 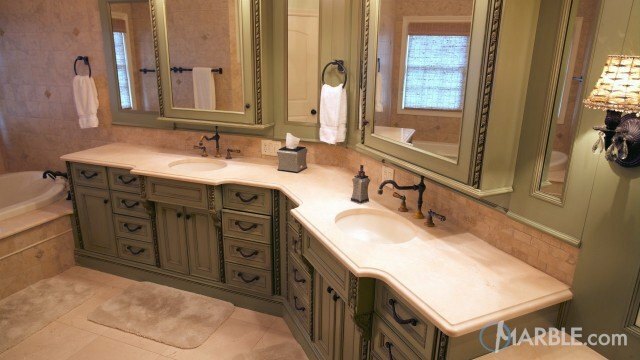 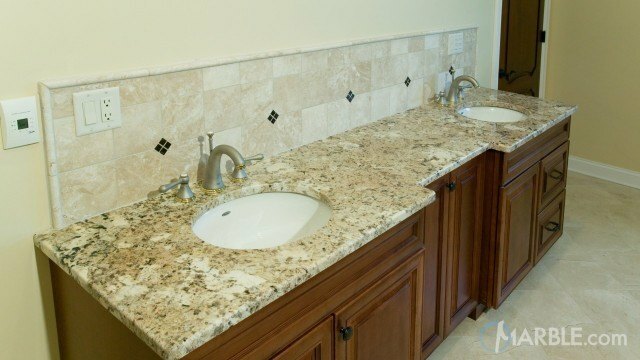 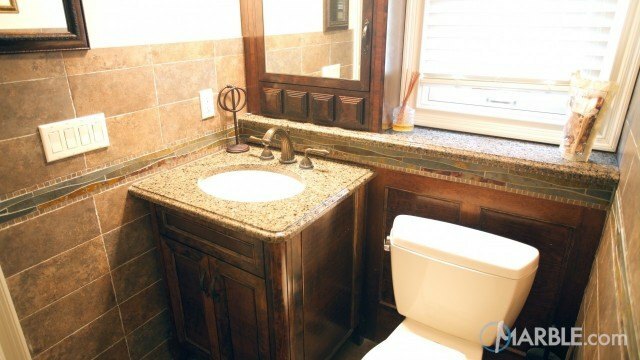 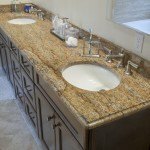 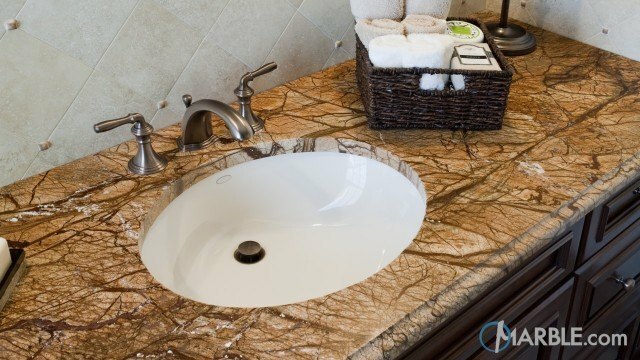 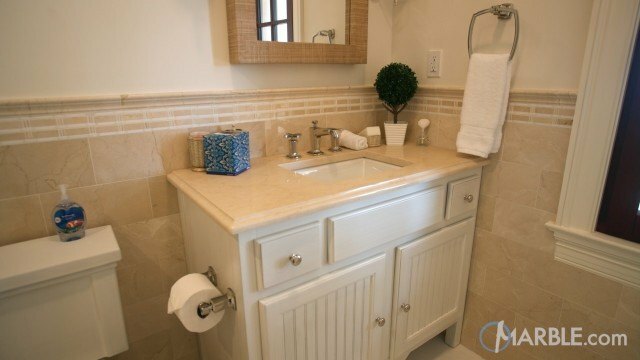 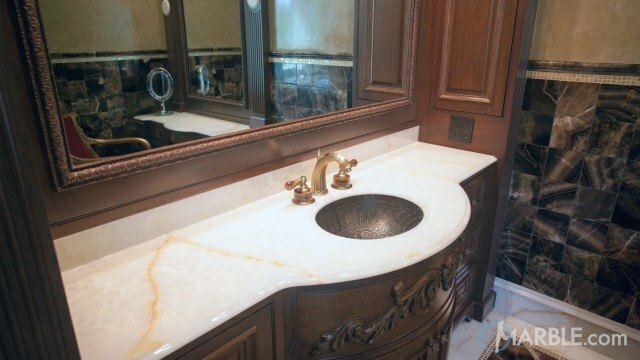 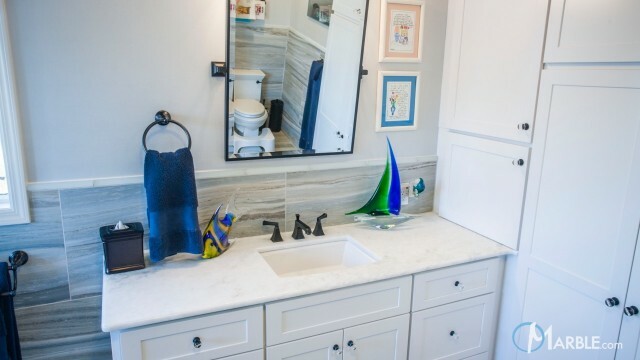 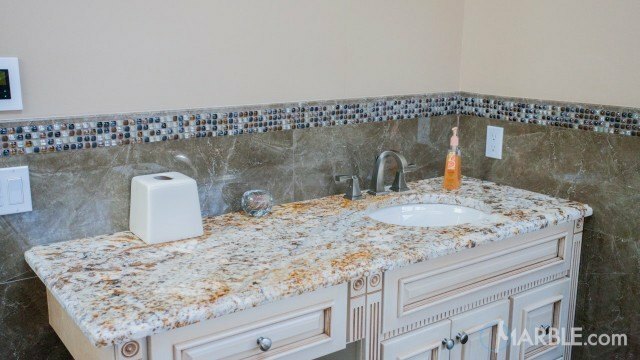 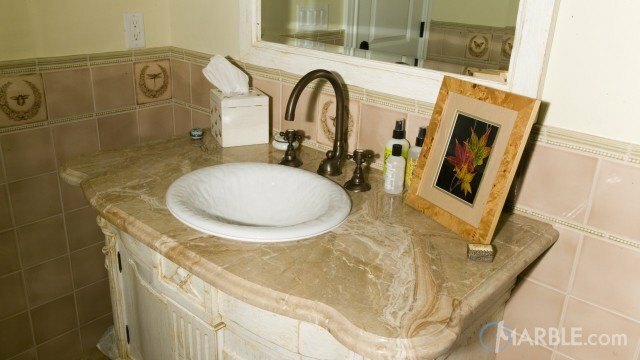 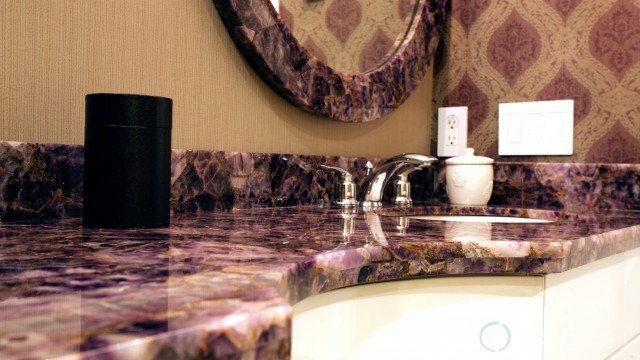 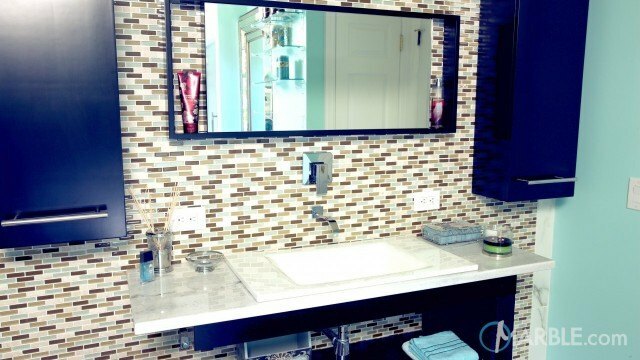 The multiple colors and patterns of Juparana Persia granite helps to bring the bathroom to life.